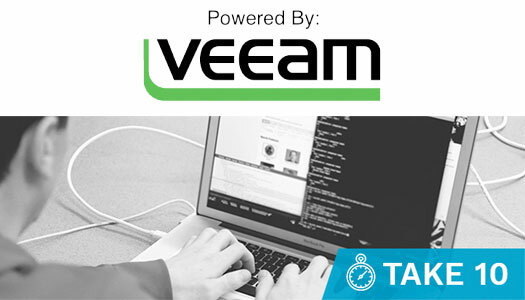 Are you prepared for downtime costs? 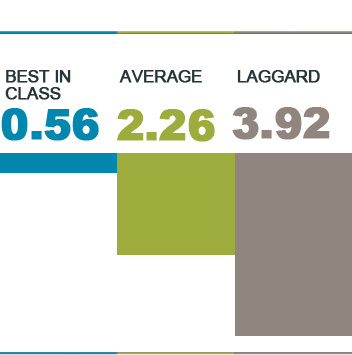 Per hour, you could face $8,500 for a small business to almost $700,000 for a large company. Minimize your risk with DRWorks – Lanworks’ Disaster Recovery suite of services. Whether it’s human error, a power outage or a catastrophe, when disaster strikes, there is nothing more important than keeping your critical services running. DRWorks revolutionizes the legacy methods of recovering your business with managed business continuity services including flexible Recovery Point Objectives (RPO) and Recovery Time Objectives (RTO) in as little as 10 minutes. We can recover a single server or your entire environment (as well as perform testing) without disruption to your production environment. 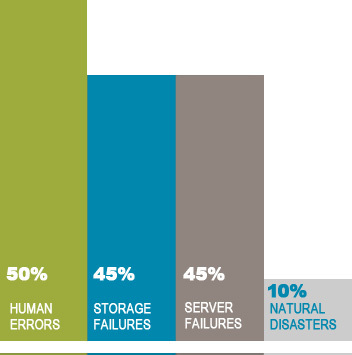 *50% of storage and server failures are caused by human error. Data loss and its associated financial impact on a company can be costly. Our offsite data and recovery service is designed for those organizations that wish to ensure that their businesses remain sound, and still in business in the event of a data disaster. With Enterprise Offsite Storage & Recovery we will provide you with “peace of mind”, knowing that you will survive any IT crisis and that your data can be easily retrieved. In complementing, in-house IT staff, this service provides you with an “insurance”, that your business has implemented and executed proper guidelines to ensure business success, following a data loss. In essence, we provide you with the tools, best practices, and standby support to all data management. In the event that you can’t get to your offices or need a suitable office space to hunker down, you and your team can take advantage of our workspace recovery services. With secure power, communications, and space to quickly reconnect to your systems, our workspace recovery option helps speed along the restore process. We ensure your business is protected with proper fail-safe solutions, where you will have no capital outlay, no additional manpower requirements and minimal impact on your internet bandwidth. Read why Computer Workware Inc. chose a hosted service for a fail-safe business continuity solution. Why Choose DRWorks by Lanworks for Disaster Recovery? Peace of mind starting from $1,000 a month. DRWorks delivers compliant, affordable data security to get you back in business – stat. Your replication environment can be accessed remotely or on-site at our secure data centre. From self-managed to full-managed, DRWorks tailors the right disaster recovery options to your business needs. We’re there for you when you need us the most – no throttling, no footnoted clauses. Our clients have been with us for decades, but we don’t usually get to see them because of our business continuity success.